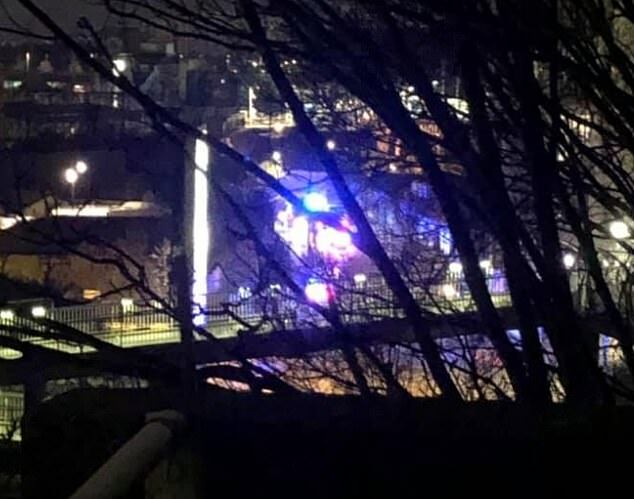 Two men who were killed when they touched overhead powerlines while on top of a London freight train may have been ‘train surfing’. 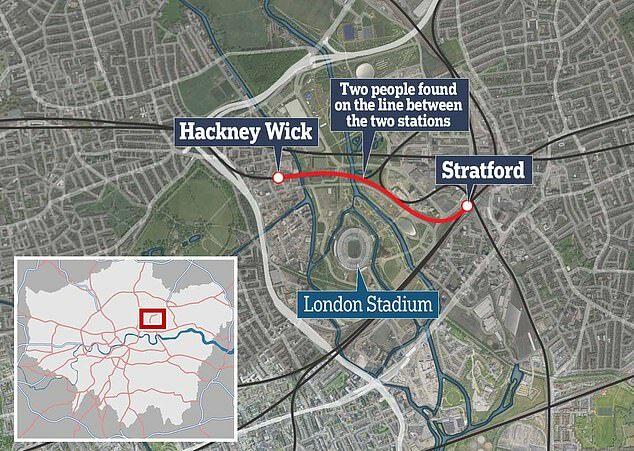 The bodies of a 25-year-old man from Aberystwyth, Wales, and a 27-year-old from Clerkenwell, London, were found on tracks between Hackney and Stratford in the early hours of Thursday morning. 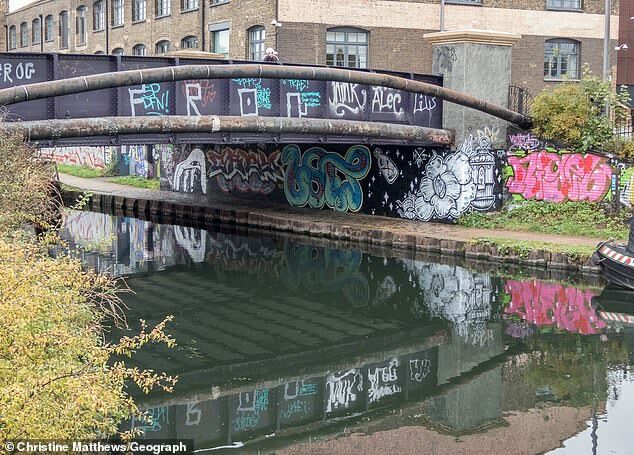 Police have found ‘nothing to indicate’ that the deaths are linked to graffiti. 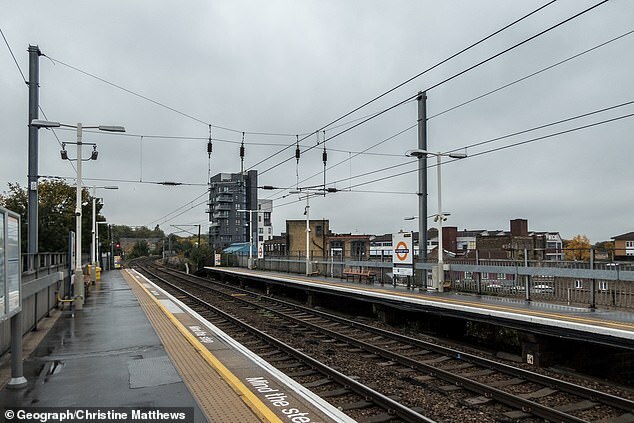 One was discovered at 1am on the tracks near Wallis Road, Hackney Wick, while the other was discovered at 2.30am on the line near Carpenters Road, Stratford. 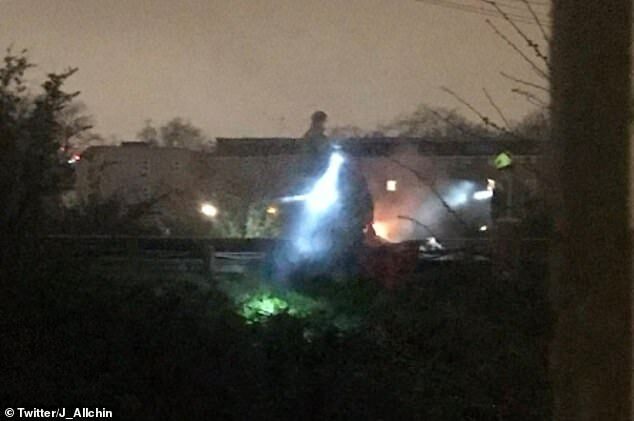 A spokesman for British Transport Police said they died after ‘sustaining serious electrical burns’. Detective Sergeant David Taylor, also from the BTP, said: ‘Our thoughts are with both families as they come to terms with this devastating news, we will of course provide them with as much support as possible. ‘The initial evidence that we’ve been able to gather suggests that both men were on top of a moving freight train wagon, when they came into contact with the over-head power lines. 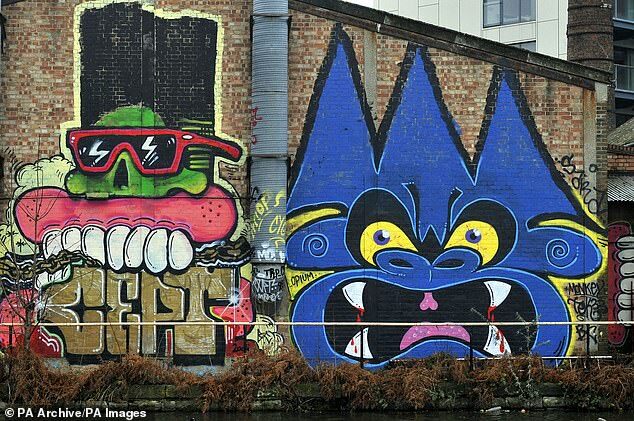 Police were also previously investigating whether the pair were graffiti artists. A spokesman would ‘not speculate’ on train surfers being more likely because of the overhead power lines, but said that both deaths were being linked. Novelist Joseph Allchin, 35, has a flat looking over the track. He told The Standard: ‘I heard a loud explosion and went to the window and saw a fire on the tracks next to a stationary freight train. I thought it was fireworks at first. ‘I was concerned because of the freight train. It had a large white canister, so I was worried it would blow up. The highway that runs underneath the bridge that links the shopping centre to the park was littered with orange traffic cones and barriers and appeared to be under construction. It appears the new road is linked to a new housing development being built between Westfields and West Ham’s London Stadium. The railway lines were on the side nearest to Westfield Shopping Centre. There was no longer a police presence at Carpenters Road by 1pm today and workmen at the construction site nearby appeared unaffected. Pedestrians also walked across the bridge unconcerned and did not seem to be aware anything had taken place overnight. No sign of a forensic tent or officers were visible from the bridge. A spokeman for British Transport Police (BTP) said: ‘One of the victims is a male in his 20s, we cannot confirm which one at this time. 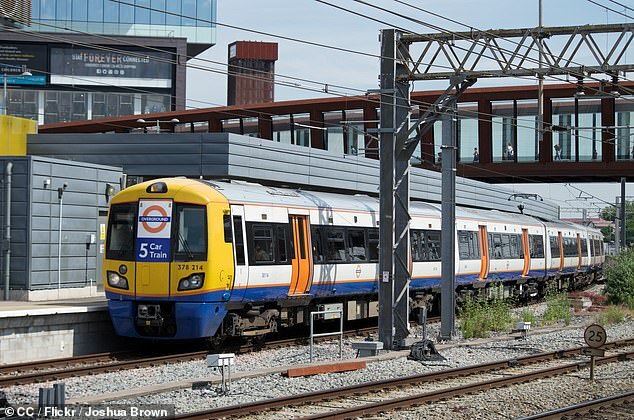 The incident initially caused closures and disruption on the London Overground and Greater Anglia services but this has now been cleared. Detective Chief Inspector Tim Tubbs said: ‘An investigation is now underway to discover what happened and how these two people came to lose their lives on the railway.